The occurrence of bacterial infection occurring with certain kinds of wounds can be minimized by using wound dressings containing silver. The effectiveness of such dressings depends on the physical and chemical characteristics of the silver, including how it is distributed across the dressing. The analysis of silver distribution in a wound dressing requires high-resolution imaging of a small area, as well as the ability to generate images over a large area. Furthermore, high sensitivity is essential due to the small quantity of silver present in these dressings. The Thermo Scientific ESCALAB 250Xi X-ray Photoelectron Spectrometer (XPS) Microprobe can be used to measure the distribution of silver in a wound dressing. The ESCALAB 250Xi XPS is ideal for assessing the quality of these types of materials due to its spectroscopic imaging capabilities. The silver distribution can be determined on both a small and large scale using this spectrometer. The instrument’s parallel imaging capability enables high-resolution, small-scale imaging, while its stage mapping capability allows for large-scale imaging. The ESCALAB 250Xi is also highly sensitive, making it suitable for analyzing the low concentration of silver present in these wound dressings. 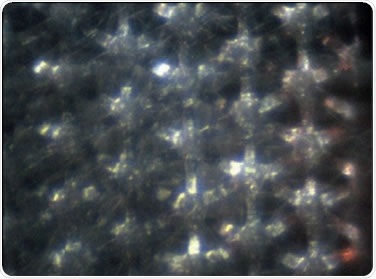 An optical view of a wound dressing sample in the analysis position is shown in Figure 1, which clearly shows the woven nature of the sample. The monochromator spot size was set to 200μm and the sample scanned under the monochromator beam to obtain a set of large-area spectrum images. At each pixel, a spectrum was obtained for C 1s and Ag 3d. Using the large area images, a position for high-resolution, small-area, parallel imaging was defined. This enables precise and rapid selection of the position for the high-resolution map. The Thermo Scientific Avantage data system provides this powerful capability. The parallel imaging was combined with spectroscopic imaging for the high-resolution measurements. This ensures that a spectrum is acquired at each pixel of the image for each element, thereby enabling precise quantification of the images. The quantified images from the large-area mapping measurement from the C 1s peaks associated with C-C and C-O are shown in Figure 2. 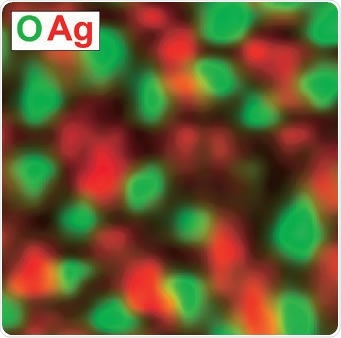 Figure 3 shows an overlay of the quantified images of O 1s and Ag 3d. On comparing these images, it can be seen that the silver is distributed in areas of the dressing where the concentration of oxygen is low. Figure 2. Quantified chemical state images from the wound dressing. The image on the left shows the distribution of C-C bonds and the image on the right shows the distribution of the C-O bonds. The intensity scale is calibrated in atomic percent. The analysis position for the high-resolution, small-area, parallel imaging can be defined using these large-area maps. 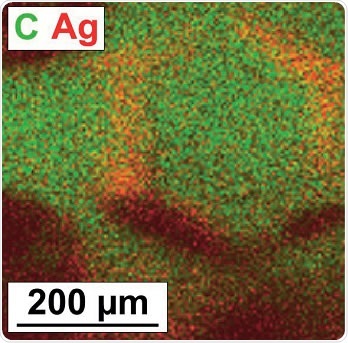 An overlay of C 1s and Ag 3d parallel images is shown in Figure 4, where the distribution of silver in the dressing is clear, indicating that the silver distribution is well defined on a microscopic scale. The results clearly demonstrate the success of using the ESCALAB 250Xi XPS Microprobe for quantitatively mapping the low silver concentration on a wound dressing. The silver distribution was well defined on both a micrometer and a millimeter scale. The position of the high-resolution images can be directly selected from the large area image, providing a fast and precise method for generating these quantitative images.